for creating your own unique Greenman. 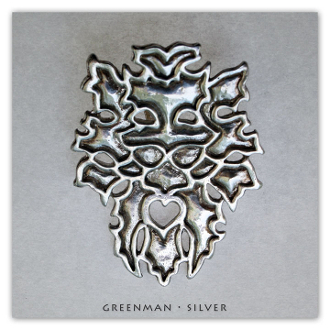 Greenman is available in solid: Bronze (Yellow), Sterling Silver (925 De-Oxidized), 14k Gold (Yellow) and 18k Gold (Yellow). There is a wait time of 1-3 weeks between order placement and the shipment of your treasure, depending on season. trust them with your order. Please contact me immediately if there is any fault with your order.